Pets are those adorable little souls that make this world a better place to live in. They provide us with comfort and good vibes with their charming presence. There are many advantages to having a family pet. One of these benefits is that having a pet helps lower stress levels. As a matter of fact, a study conducted in 2002 by the State University of New York at Buffalo concluded that people with a pet near them experience lower levels of stress than when a family member is near. Another benefit of having pets at home is that they improve the family’s immune system, especially in children. 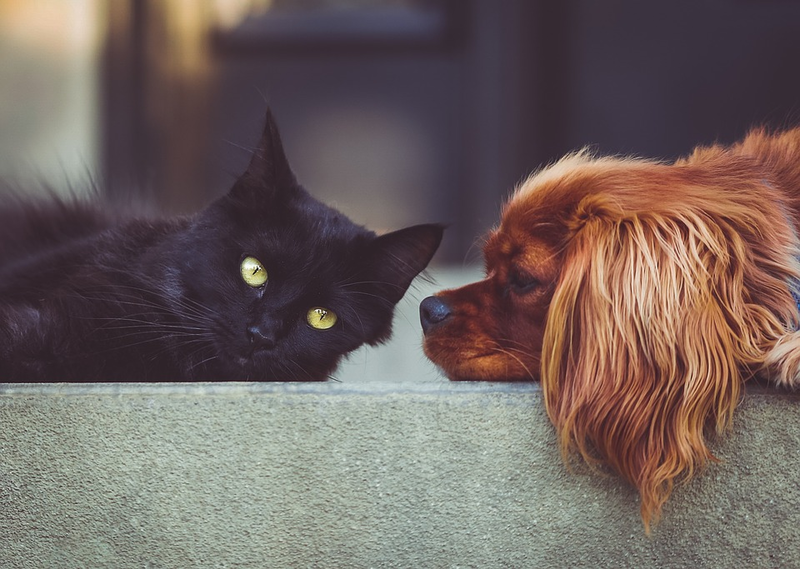 Immunotherapy as experts call it, means that pets usually expose children to many different living organisms that help strengthen their immune system compared to those children who do not have family pets growing up. When choosing a pet, consider factors such as allergies. Not everyone can handle furry friends because it can sometimes be harmful to them if they get exposed to these for long hours. Also, if you have younger children and you have reasons to doubt if they can handle pets, consulting your family pediatrician first to get professional advice is a great idea. If some of your family members have allergies, consider picking a fish for a family pet. If your family is set on a furry friend, check out Pride and Prejudoodles on Pinterest for pets who have been coat tested against shedding. Choose a pet you can afford. This does not only mean that you have to choose a pet you can buy but also you need to take into account the cost of maintaining and keeping one. For one, a dog which is a larger breed will consume more food than a dog of a smaller breed. Check if your family income can afford pet food, pet vitamins and pet injections. Moreover, you also need to consider veterinary costs. Some pets, like cats, require regular general check-ups. Vet costs can be pricey especially if you have a lot of pets that need check-ups. Consider this before taking on the responsibility of being a pet owner. Another consideration would be your home’s capacity. Can the new family pet have adequate space in your home? Can an additional pet still be accommodated and afforded with a sufficient level of comfort? If you live in a relatively big house, you may accommodate large breeds of dogs. However, if you live in a small apartment, consider a smaller pet like a fish, rabbit, hamster, or a laid-back cat. Before you decide to bring your potential family pet at home, consider getting to know its quirks and hot buttons first. Not all breeds of cats or dogs have the same personalities. Is the new dog comfortable with children’s touch? Is the cat a scratcher? Consider these things before exposing your family to the pet. Make sure that you choose a pet that is well-trained and well-behaved. You would not want your dog biting your child or your cat scratching you.